If you’re aiming for a more self-sufficient lifestyle, it’s a good bet that you’ve got some bulk food on hand. 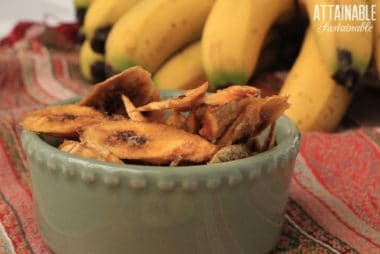 These staples are the basis of inexpensive meals and excellent for emergency stores. 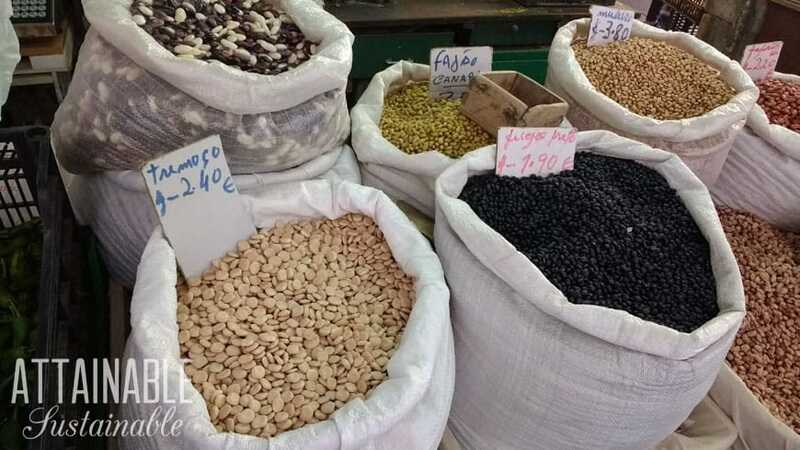 Here’s how to buy and store dried beans, legumes, and whole grains in bulk. I do not claim to be fully self-sufficient. While I continually strive to decrease our dependency on outside sources, there are just some things that I’ll never be able to produce myself. I still count on growers in other climates to produce the wheat, the oats, and the corn that I use in baking, granola, and polenta (among other things). However, when I buy those products I aim to buy whole, organic, non-GMO versions that are often unavailable (or expensive) at the supermarket. Buying these in large quantities allows me to keep the ingredients I use regularly on hand and means fewer trips to the store for supplies, which lowers my gasoline consumption. Buying bulk food also eliminates waste – there’s often less packaging to deal with. Another reason to buy whole grains and legumes in bulk? Emergency preparedness. A store of dried beans and whole grains assures that you’ll have a stockpile of basic, filling food in the event of an emergency. It will prevent you from joining the long and cranky queue when you get word that a severe storm or hurricane is on the way. And you will have peace of mind knowing that in the event of a more quickly-developing disaster, you’ll be able to feed your family. For long term storage, whole grains and dry beans and legumes far surpass those that have been processed. Whole oats have a longer shelf life than rolled oats. 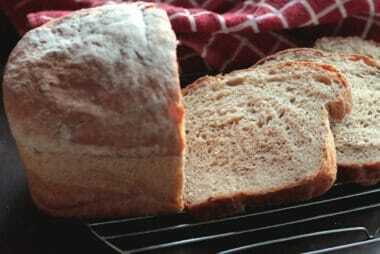 Whole wheat has a longer shelf life than flour. And whole corn has a longer shelf life than cornmeal. Once milled, the quality of the grains begins to deteriorate. Finding a source for organic foods and bulk products can be difficult. If you’ve got a great place to buy bulk food locally, consider yourself lucky. 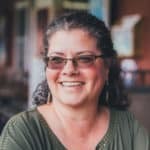 Food co-ops and bulk buying clubs are often private; fine if you know somebody who knows somebody, but if not? There could be one right down the street and you’d be none the wiser. Your local health food store – presuming you have one – might be willing to order items in bulk for you. Mine offers a 15% discount on regular retail when I order items like bulk whole grains or dry beans to store, or when I order products by the case. While some cities have a public store front to house their co op, there are several companies that cater to “buying clubs” or loosely organized food co ops. Essentially, a group of people pool their orders to create a larger one that meets a company’s minimum order size. Upon delivery, the group is responsible for dividing and distributing the order. Based in Oregon, Azure Standard specializes in natural, organic, earth-friendly foods and products. There are a variety of delivery options, including deliveries directly to customers and also to buying clubs. If there’s a buying club already set up in your area, Azure will put you in touch with the contact person. You place your order online and pay for it by credit card; when the delivery arrives, you’ll get a call you to arrange for pick up. United Natural Foods, Inc is another provider of bulk products available to buying clubs in limited areas of the United States. Wholeshare is a co-op buying club that allows you to organize a buying group in your community. Here’s a nice description of how it works. If there’s not already a buying club in your area, start one! I gathered with several other ladies years ago and ordered through Mountain People’s Warehouse (now a part of UNFI). It was not difficult to set up and we had the option to split big purchases between us. All Bulk Foods offers flour, grains, and legumes; nuts and pasta; and dried fruit in large quantities. Nuts.com is another source of bulk grains that you can order by the pound. It should go without saying that bulk grains and legumes should be stored in an air-tight, bug-proof container. Heavy duty plastic bags or Food Saver bags might be air-tight, but (trust me) they are not bug-proof. If you opt to use those to store your grains, be sure to keep them in a second, bug-proof container. I keep small amounts of flour and grains in glass jars. I have a collection of half-gallon Ball jars that I got years ago at a garage sale, and they are well-used. For larger amounts, I use a 5-gallon bucket equipped with a gamma seal lid. They’re not cheap, but they work really well to prevent bugs and moisture from getting into my grains. If you live in a humid climate, like I do, I also recommend adding moisture absorbers to your long-term storage plan. 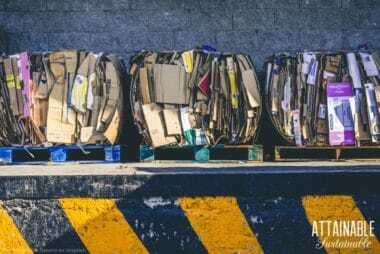 Here’s how to make your own desiccant packs easily at home. 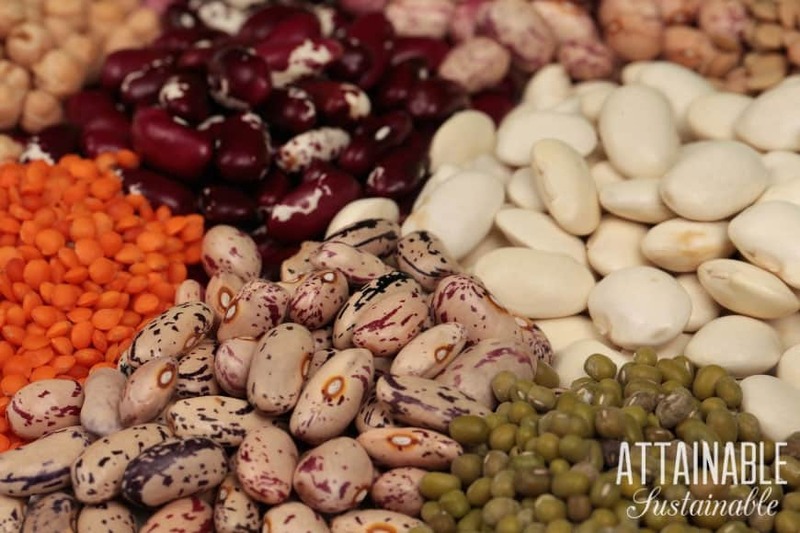 The best temperature at which to store grains and legumes is 40 degrees Fahrenheit or below. 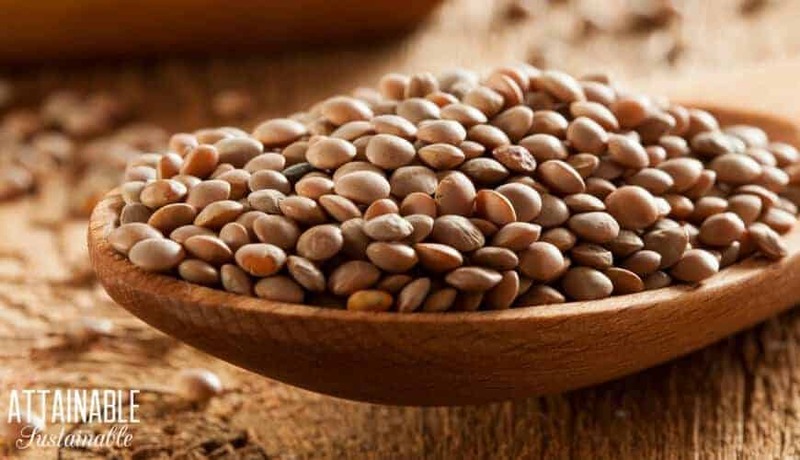 How long can grains and legumes be stored? There are two things that can put your dry food storage in peril: moisture and pests. Proper storage of these dry goods is critical for long term storage. While most packaged dry goods have a “best by” date, that date is a bit (or a lot) flexible. White rice lasts for four to five years in standard food storage containers. Sealed in oxygen-free containers at a cool temperature, white rice can last up to 30 years. Brown rice is “oilier” than white rice, and thus, can go rancid. 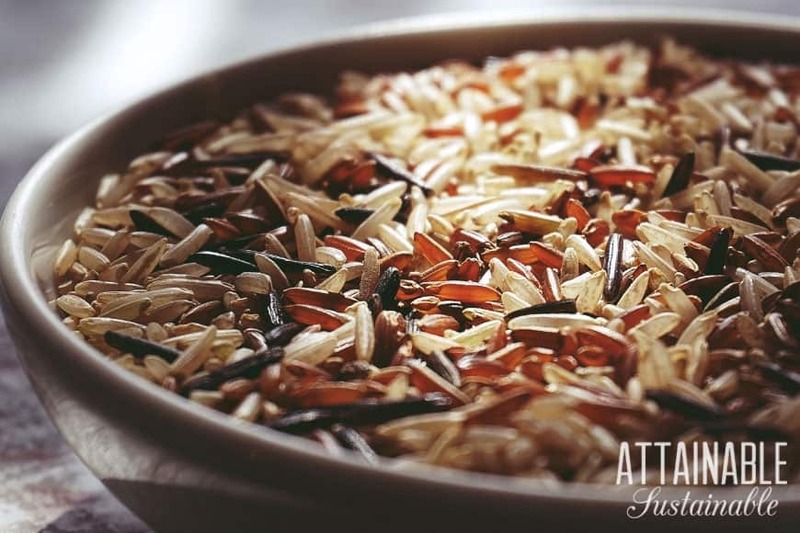 Use dry brown rice within about six months to prevent it from going bad. White rice lasts much longer than brown rice, making it the best option for long term storage. 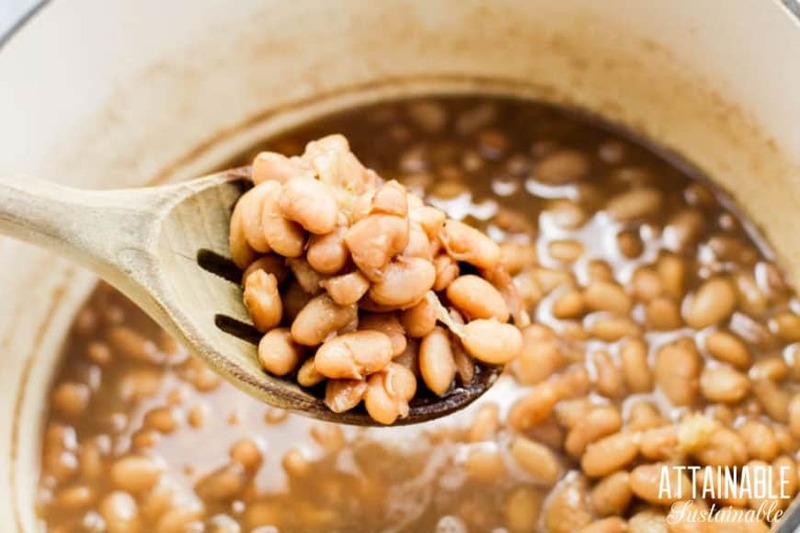 How long do dried beans last? Technically, they’ll keep indefinitely, though the vitamins begin degrading after a couple of years. But old beans have a tendency to be harder to rehydrate as discussed here. You know that chili that you cooked forever and the beans were still hard? They were probably quite old. Store dried beans, but be sure to cycle through them, using the oldest beans first. Yes. This is an example of milled grains deteriorating more quickly than whole grains. Cornmeal lasts for a year or two in the pantry if stored properly. You can double that time if you keep cornmeal in the freezer. Flour does go bad, but just exceeding that “best by” date isn’t a cause for tossing it out. How long flour lasts depends on what kind of flour we’re talking about. All-purpose flour (the standard in most homes) will last 6-to-8 months beyond the “best by” date on the bag. We’ve mostly discussed grains and legumes here, but sugar is another product that’s often less expensive in bulk. Storing it for long term use requires the same airtight containers as other bulk goods. Be mindful that ants are the enemy here and one of the things that causes sugar to go “bad.” (Really, it’s just that we don’t want to eat sugar with bugs in it!) With proper storage, sugar will keep indefinitely. Brown sugar that hardens is still edible. You can soften it by sealing it in a container with a quarter of an apple. The sugar will absorb the moisture from the apple. Salt does not spoil and has an indefinite shelf life if stored properly. Ingredients in the salt (say, iodine) may reduce the shelf life. Take a tip from me if you intend to incorporate lots of whole grains or dry beans into your diet: Get an InstantPot. These electric pressure cookers can shave cooking time in half (or more). Make cooking as easy as you can, and you’ll be less tempted to fall back on packaged foods. Thanks for all this useful information. I am considering the polka dot box system. Thanks for pointing me to some new resources. 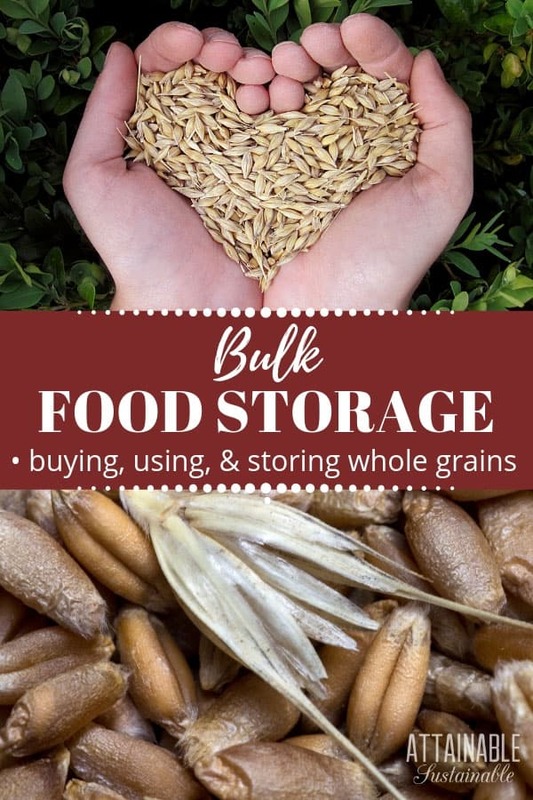 Buying in bulk is tricky when you don’t have much storage space but makes sense for frequently used items that keep a long time like rice and oats. After changing my whole diet I finally also switched my salt to a Himalayan pink salt from Sustainable Sourcing https://secure.sustainablesourcing.com since it is non-GMO, gluten-free and made in their own facility with no cross-contamination. I’m always so happy when I come across these finds and just have to share!